These mini 6 inch Christmas stockings use an optional fold-over cuff from my original crochet pattern for the mini cuffed Christmas stocking pattern. Below you will find the crochet directions for this optional fold-over cuff using contrasting yarn. You work the first 8 rows of the stocking pattern but then only chain 8 instead of 12 stitches for the upper leg portion. 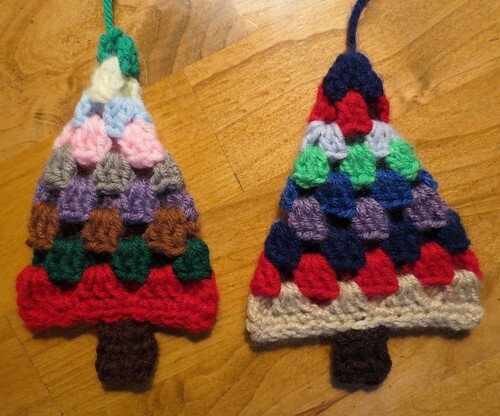 Then work the pattern the same until you come to the first decrease row. In rows 9 and 10, you want to work the decreases on either side of the back of the heel for shaping. Finish off the stocking and leave a long tail for closing up the back heel seam. 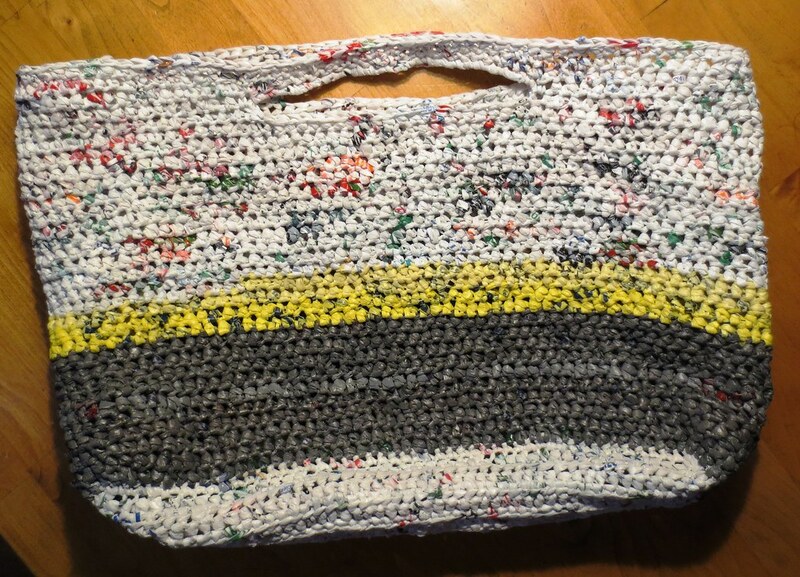 I posted a few weeks ago about my crocheted plarn tote that a customer ordered to hold her recycled paper. 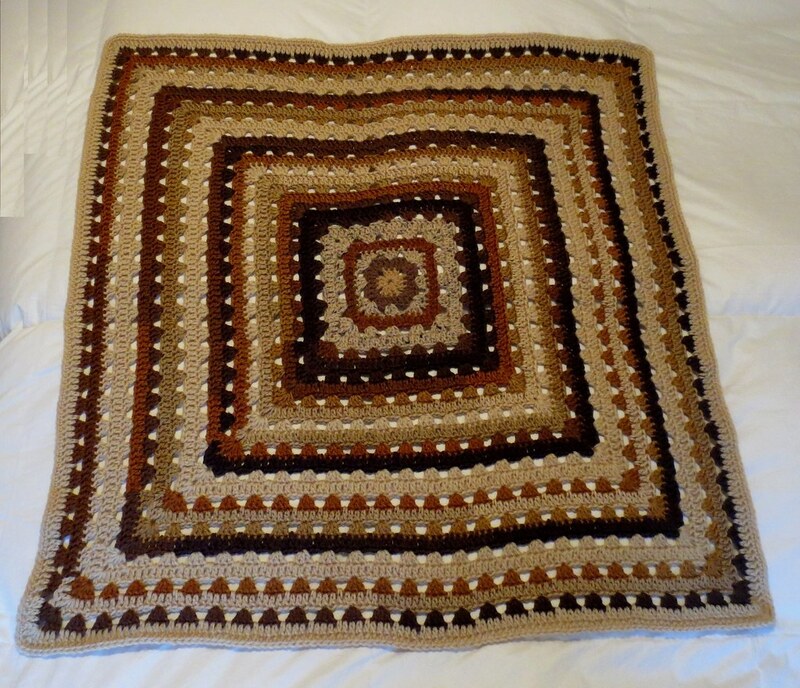 I have been working on writing the crochet pattern and am happy to post it today. Here is the crocheted base which is done in single crochet for added strength. One final photo of the recycled tote bag laying down and showing the base. 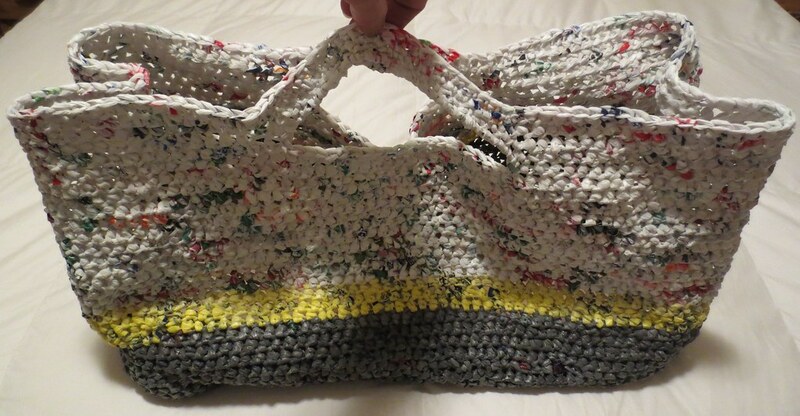 So without further ado, here is the free crochet plarn pattern for this recycled tote bag. Please enjoy and share any comments with me concerning the project below. 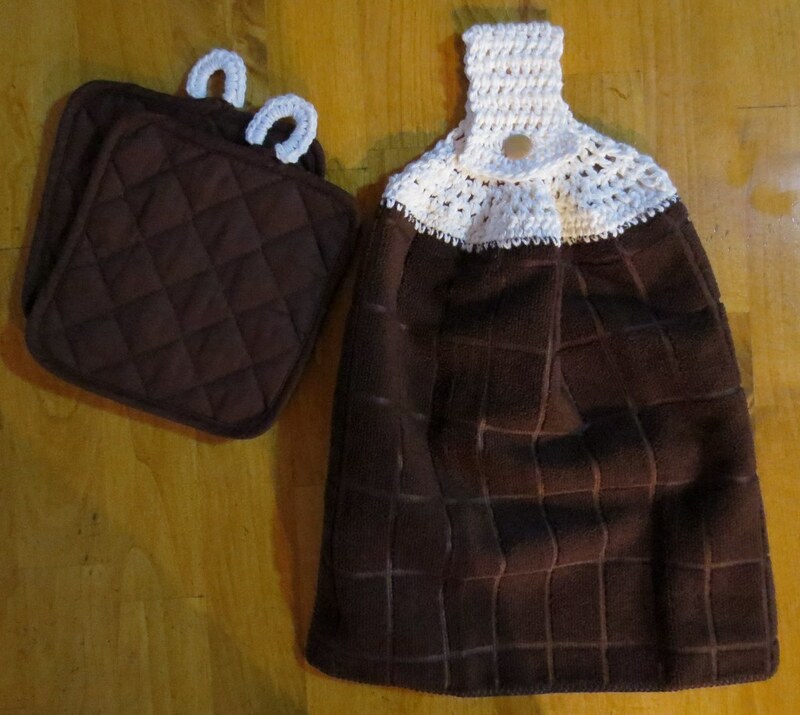 Recycled bag is crocheted in 2 pieces. 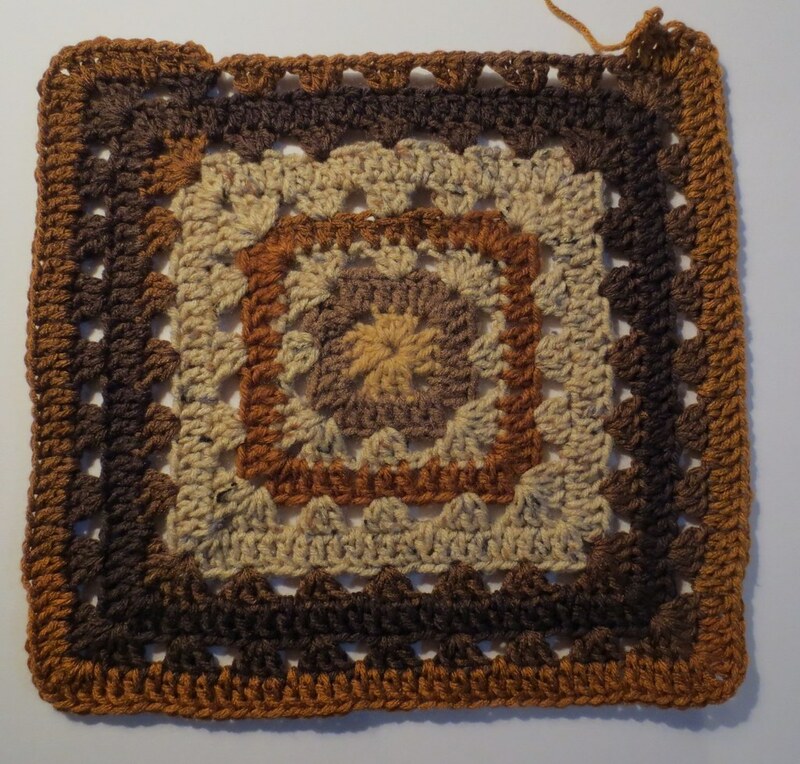 A base piece is crocheted and then the sides are worked in the round to complete the bag. Need a carrying case or sleeve for your laptop? Do you have a whole bunch of plastic bags that you’d like to recycle? 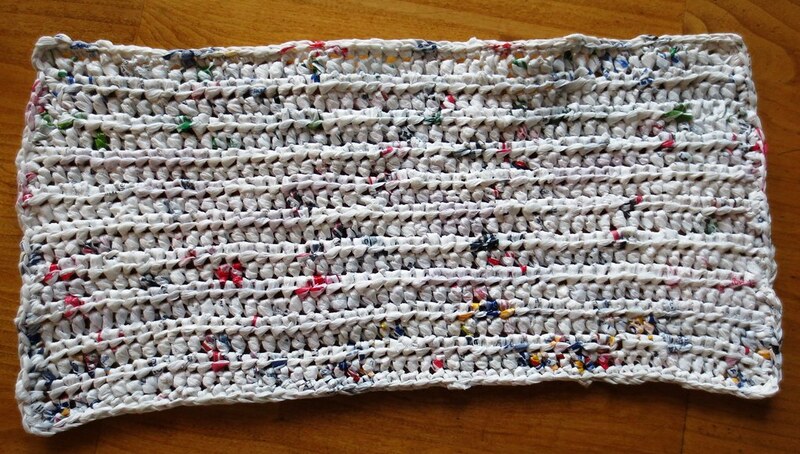 Well you are in luck as here is a recycled plastic bag yarn (plarn) project for crocheting a laptop computer sleeve. 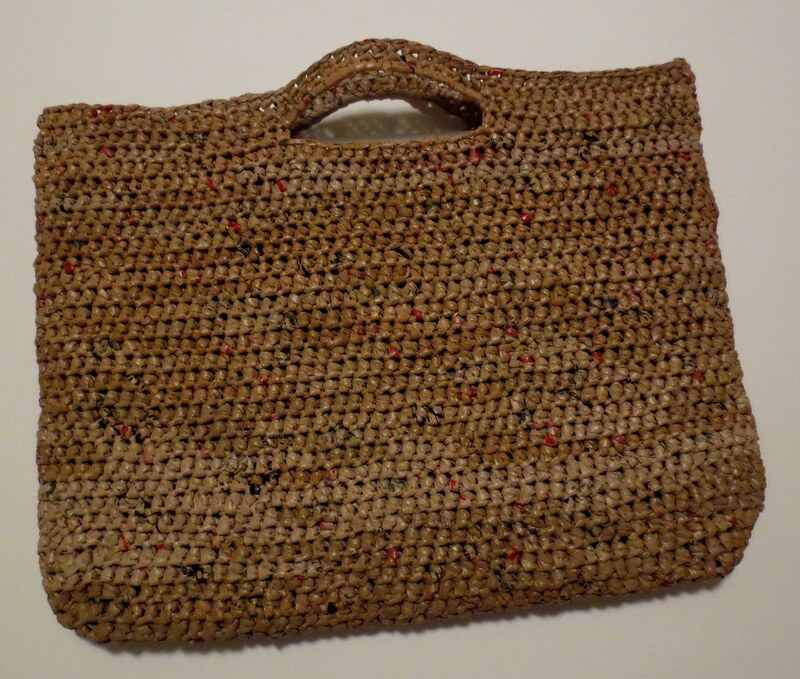 This pattern uses up about 63 plastic retail sacks and creates a nice and sturdy carrying case for a laptop. The laptop shown is 15 inches wide by 10.5 inches and 1.5 inches deep. As you can see the laptop fits in nicely and the holds the weigh just fine for carrying. Should you have a larger or smaller laptop or tablet, just adjust the pattern by chaining additional stitches to start (or less) and crochet extra rounds to get the desired length you need. As always the free crochet pattern is found below. 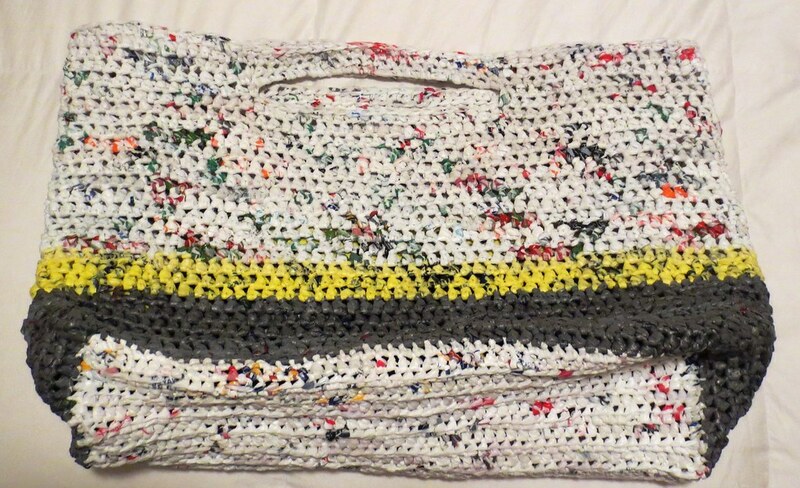 Here is my picture tutorial on how to make plarn from recycled plastic bags.